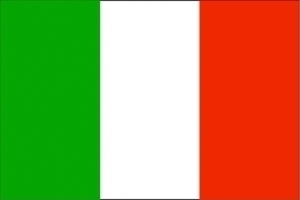 Italian Lawyers for foreign companies in Italy. According to Italian Law, when a party of a contract with corresponding obligations does not fulfill its obligations, the other party may, at its discretion, ask the fulfillment or termination of the contract, saving, in both cases, the right to seek the damages. The termination of the contract for non-performance may be demanded even when the trial was established for the fulfillment; while the fulfillment cannot be asked when a trial was established for the termination. To apply before the court for the judicial termination of the contract for non-performance, it is not necessary to send a formal notice to the other party before the establishment of the trial, because the law requieres only one condition, that's the non-performance of the contract by the other party. However, it is advisable to send, through an Italian lawyer, a warning letter to the other party in order to reach an amicable resolution, avoiding a process before the court. If the party wants to ask for the fulfillment of the contract, it may give notice in writing to the other party to fulfill in a reasonable time, otherwise the contract will be considered definitely resolved. The term of deadline can't be less than 15 days.